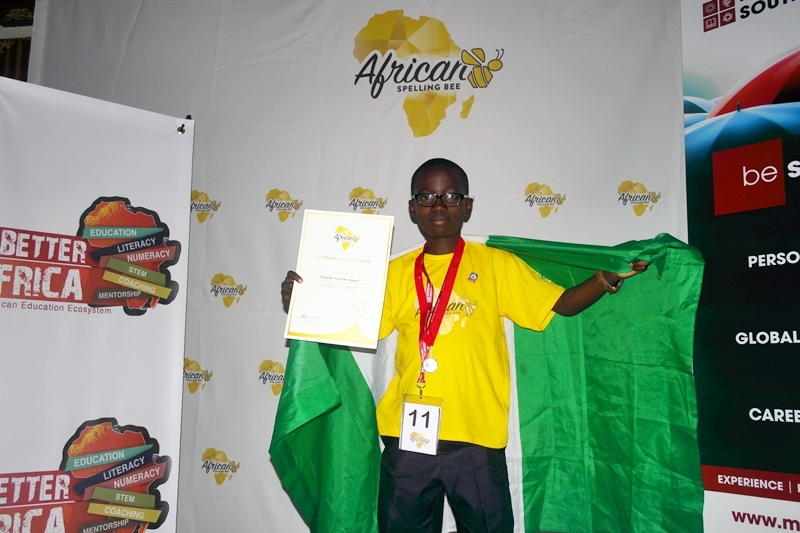 A Nigerian speller has distinguished himself as the best speller in Africa after emerging the Champion in the African Spelling Bee 2017. 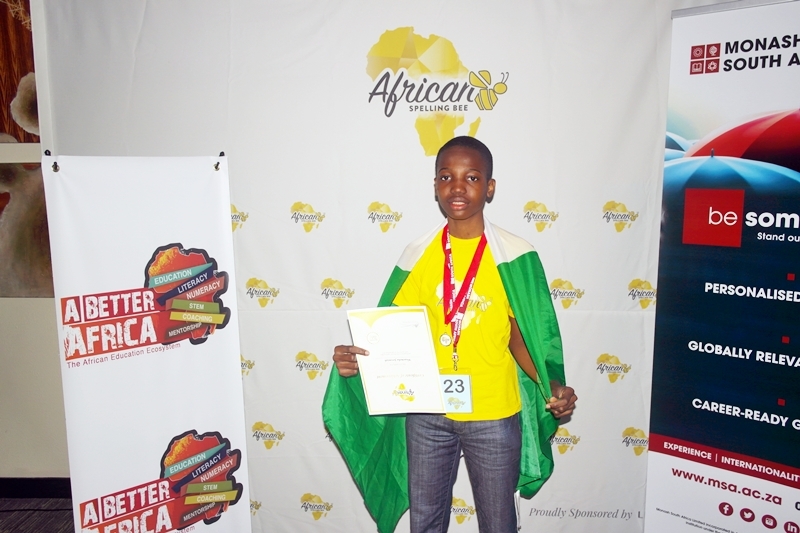 Sheriff Muhammad of Kings College, Lagos who was part of the team of spellers representing Nigeria at the African Spelling Bee 2017 held in South Africa spelt his way through to the 7th Round of the contest. 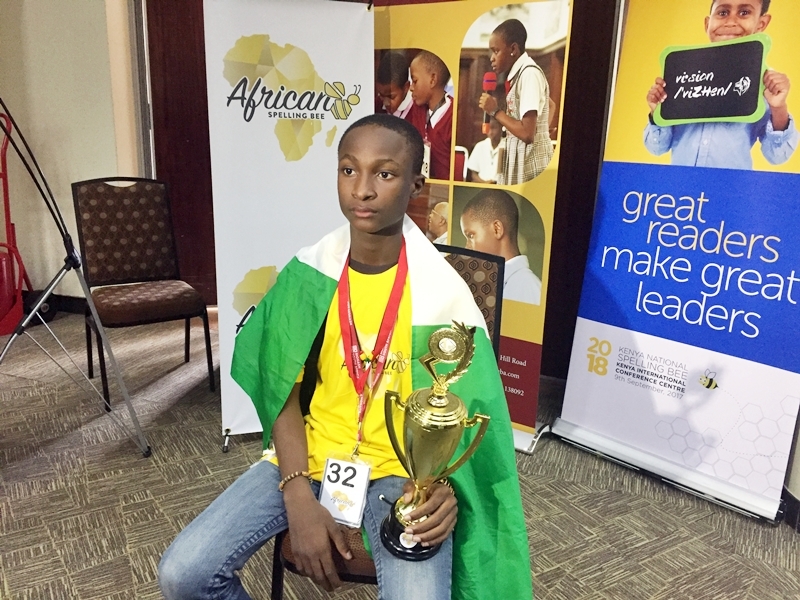 He was followed by another Nigerian, Benebo Nchege of Deeper Life High School Port-Harcourt in a Joint 2nd place with Zameer Dada of South Africa. 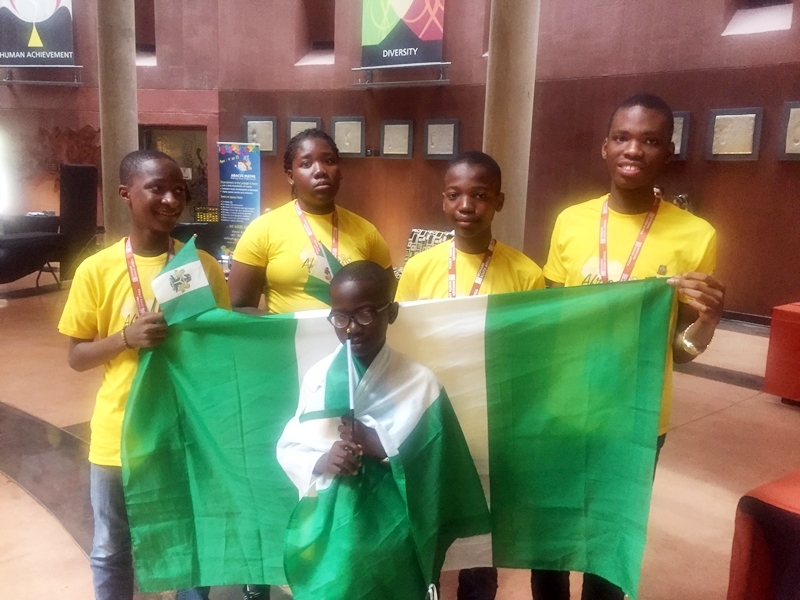 Both Sheriff and Benebo competed in the Nigeria Spelling Bee and excelled in their respective states and regional competition and went on to be National Finalists. 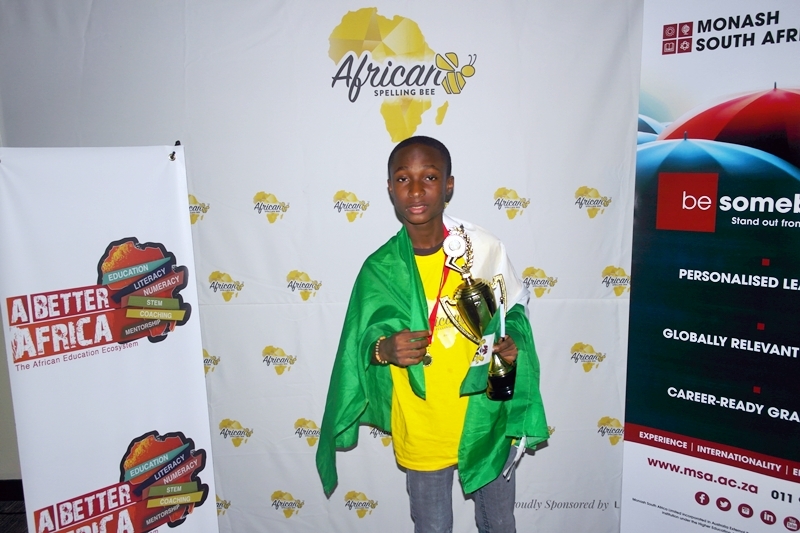 Benebo clinched the title of National Champion in the National Finals held at Nile University, Abuja on the 1st of July. 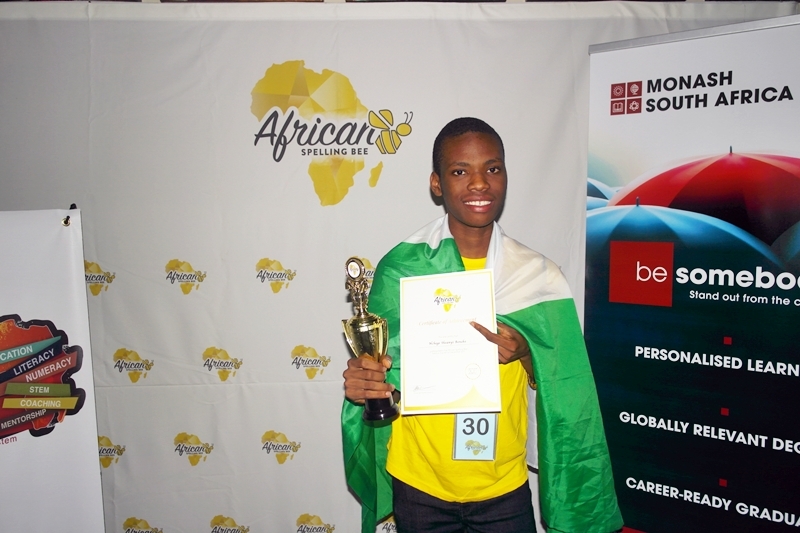 As part of prizes won in the competition is a Full Scholarship to Monash South Africa worth $20,000. Monash South Africa is ranked among the Best 100 Universities in the world. Other prizes include promotional items sponsored by MTN, Makro and Planet Fitness. Round 3 was made up of words taken from the spellers’ visits to Maropeng and Sterkfontien Caves heritage sites. These words were “fossil fuelled”. Other rounds included the English words from African Origin, Names of African Cities, Loan words and names of Cities around the world. 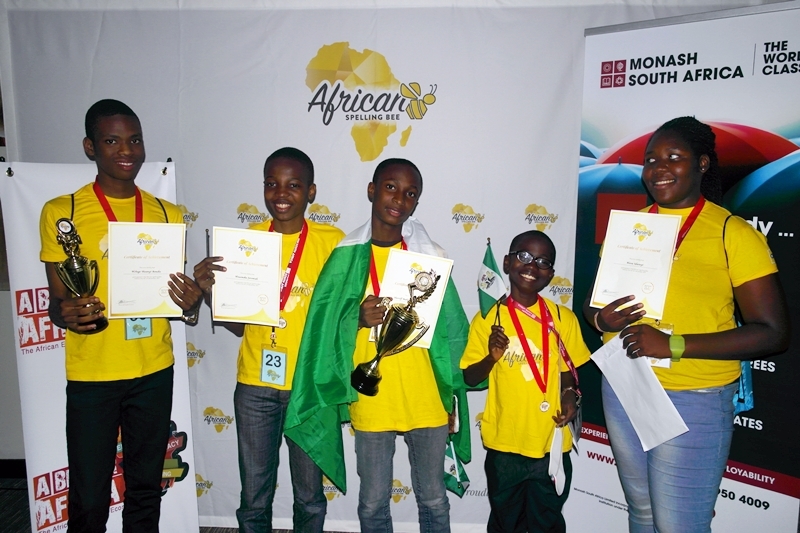 All the spellers in the Nigerian Team at the African Spelling Bee did the country proud. 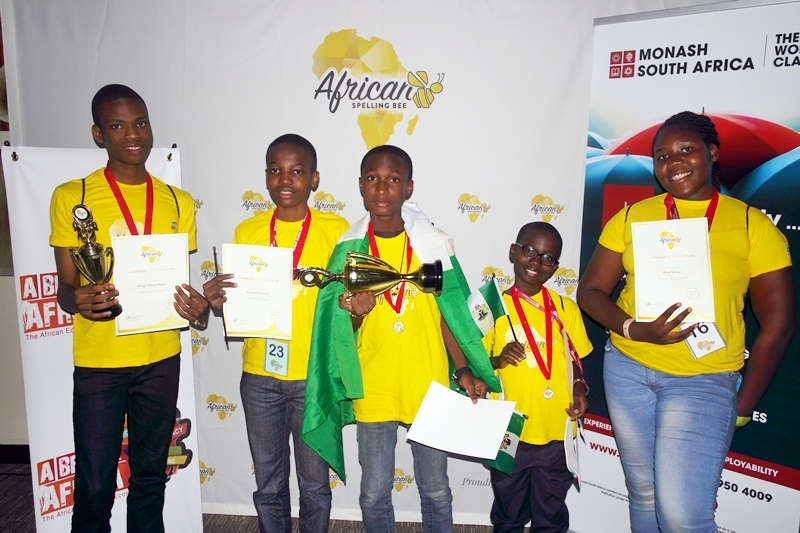 These spellers will be returning to Nigeria on Sunday the 17th of December through the Murtala Muhammed International Airport, Lagos. 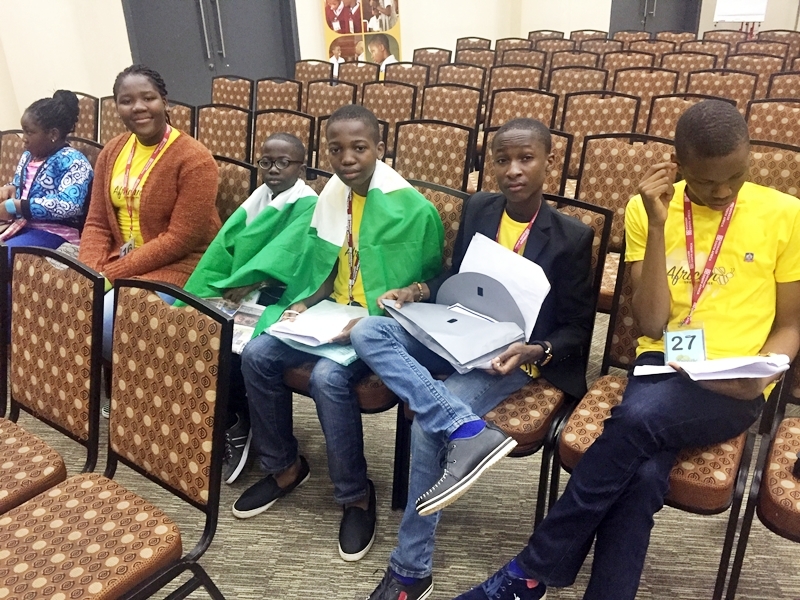 We invite all stakeholders in the education sector to welcome these spellers as they arrive back to Nigeria at 8pm. See photos below. Don’t forget to SHARE. ON THIS DAY, I HAVE GOT THE NICEST OPPORTUNITY TO THANK THE ALMIGHTY GOD FOR RAISING THE NIGERIA SPELLING BEE INITIATIVE TO A GREATER HEIGHT. WE HAD A FIELD’S DAY IN SOUTH AFRICA AND HAVE SHOWN THE WORLD THAT WE ARE THE GIANT OF AFRICA INDEED. BRAVO TO SHERIFF, BENEBO AND ALL THE NIGERIAN CONTINGENTS. CONGRATULATIONS TO MR PRESIDENT, HIS EXCELLENCY, PRES. MUHAMMAD BUHARI! I AM PROUD TO BE ASSOCIATED WITH THE NIG. SPELLING BEE. MERRY XMAS TO U ALL. I AM SO GLAD. Awesome God indeed, appoints whom he wills. 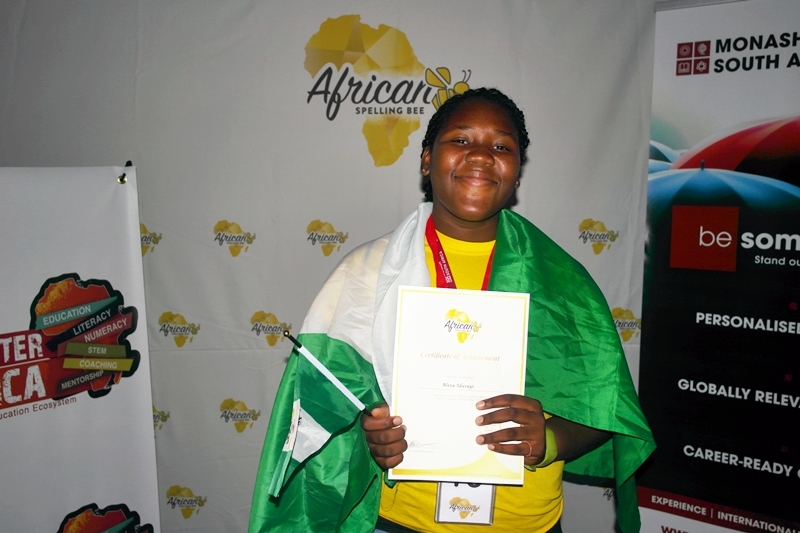 Congratulations, to giant of Africa “NIGERIA”. Congratulations, to Nigeria spelling bee. 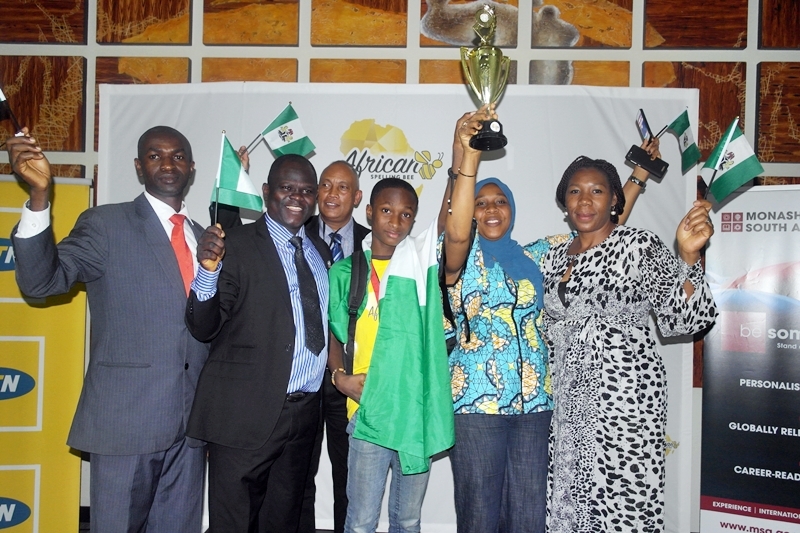 Congratulations, to our Nigeria delegates & winners. Congratulations, to our champions Benebo & Sheriff.